Today I didn't felt like writing about beauty related subjects and I'm currently having one of those low energy days. So i thought why not doing something different. I have been thinking about my life in general and how I want to "shape" my future. 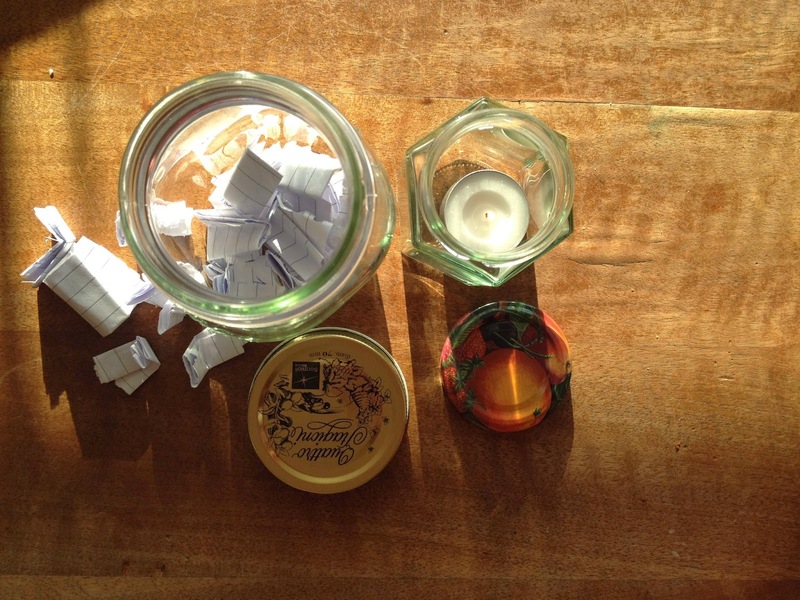 And I thought what would be a better fit than introducing my memory jar. Maybe you are familiar with this concept or you are a proud owner of one of these high-tech objects too. When not, don't worry I will do my very best to introduce you. These high-tech jars are equipped with bullet-proof glasses and a metallic, waterproof lid. To complete, these jars are built with a special layer on the inside. The particles which cause paper to turn yellow are caught in a tiny non-visible sphere which then throws these particles out in order to prevent the paper turning yellow. Just kidding (as if you would't have already guessed it). 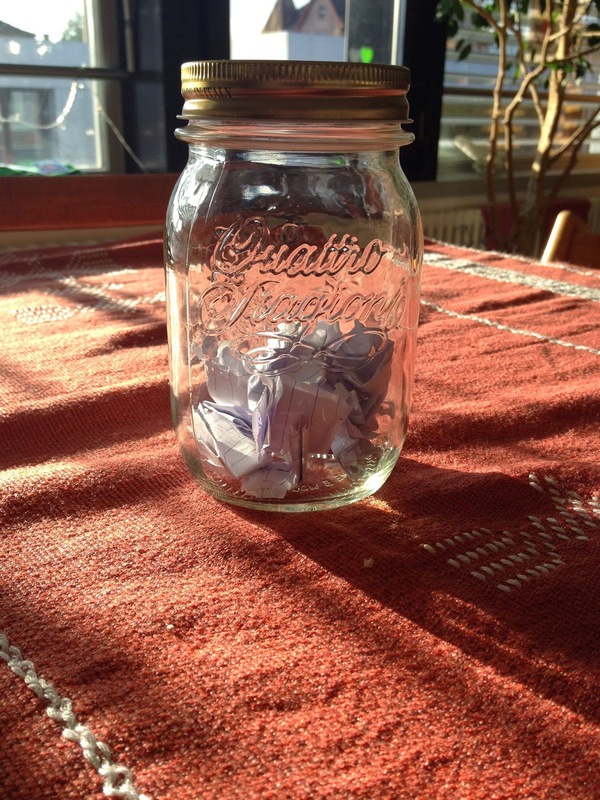 In this jar I keep my memories. Just the little ones. The ones that made me laugh, made me feel good but also the ones that made me sad or even cry. Just the ones you would't write in your diary because they are to simple, to unnecessary to even think about them again. 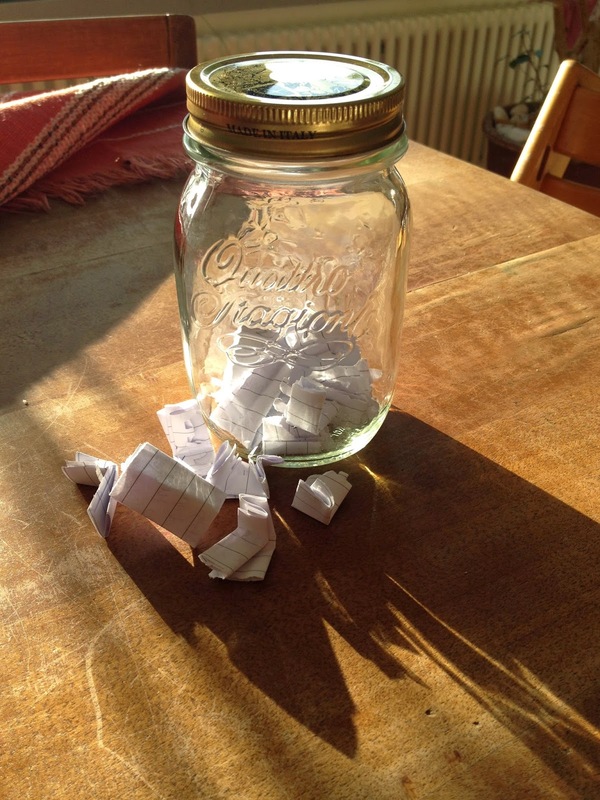 I put these memories on small notes and keep them in the jar. And every year on my birthday I open the jar and read them again. And when I read through them again, I find myself remembering so many memories I would normally forget. Sometimes I think the little ones are the precious not the big ones. We tend to forget those and just look at the sad ones. For me it helps a lot at those days to just look at these memories and see how many happy little things happened to me. I would't dare to say it makes you a happy person but I can say it helps A LOT. It helps you to realize how blessed you are with your life and helps you enjoying the little things more in life. It helps you to see the little things more. Nowadays we live in a world where everything is rushed, only the important and big things get our (full) attention. I think once we realize that the smaller things are precious too we will be able to be happier with what we already have. At the end of the year you find yourself smiling at the good moments you had with your friends, family or who ever. So I highly recommend you trying it out!